Coconut Oil for Fleas – How You Can Naturally Get Rid of Dog Fleas? How to use coconut oil for fleas and get rid of them naturally from your dog? I suggest using coconut oil for fleas, in this article I will show you how to do it easily. Having a pet has been a great learning process for me. It is amazing how my pup knows when I am low, and he should wag his tail and entertain me or just cuddle with me. We as pet owners can only ensure to try and be equally understanding to their needs and give them a healthy life. Everything from my dog greeting me at door or waking me up is a treasured experience for me. Very often we ignore some signs of discomfort or illness in them and then regret afterward. I happened to notice my Pup scratching excessively and something unusual about his usual loving behavior. He preferred staying indoors and pleaded for cuddles and patting. It was during a regular checkup that we discovered he was infested with fleas. I could not imagine the irritation and discomfort it must have caused for him. We had to get rid of it, and we did with a lot of help from the vets. But then I needed to be sure of it not coming back ever. And regularly bathing your pet or loading their coat with chemical treatments or pesticides is the worst thing you could do to them. In fact, many of these products are highly toxic. Thanks to my pup, he has made me more social because of our early morning walks. And I discovered something interesting in our Pet owners group, which swears by the coconut oil therapy for clean, flea free, shiny and healthy coat. Yes, you heard it right – you can use coconut oil for fleas. The virgin, untreated and undiluted coconut oil as a topical application on your dog’s skin can reduce swelling from a flea bite, tick bites or even mosquito bites and yes hot spots too! Wow, that sounds like a big relief, doesn’t it? So why not dwell deeper into what points to consider when you wish to pamper your Dog with coconut oil for a healthy, shiny coat. How to use coconut oil for fleas? (1) Give your dog a good bath with a natural shampoo and rinse it well. (2) To use it topically, rub a small amount onto your hands and gently pat and run your fingers through the fur and skin. Massage and do all the patting pampering your dog longs, it soothes the swellings from insect bites. Don’t forget the tail and ears. (3) Let it sit for good 10 minutes. (4) Now run flea comb across the coat gently. Majority of the fleas might stick to the comb and others which don’t will surely jump out because of the genius ingredient in it called the Lauric acid. (5) If you notice your pet having itchy paws rub some oil gently onto the paws as well. My pup is facing some issue with hind leg joint or the knee and coconut oil has proved a good relief from that sore pain as well. Apart from this coconut oil massage also helps get rid of that typical strong pet odor. (6) Next, you have to rinse all the oil again with fur shampoo to avoid any greasiness. Don’t overdo this, we do not want to dry the skin again. (7) Towel dry your dog well and then lightly brush it. When do I use coconut oil for fleas? If the weather is warm, I tend to do it once a week. However, if we have been spending a lot of time outside, then he needs a little bit more attention and cleaning from me. Apart from that, I have known pet owners who pat a small amount of coconut oil almost daily to soothe swellings or flaky skin and itchiness. Why – the real benefits of using coconut oil? Coconut oil has this super ingredient called Lauric acid which has anti-fungal and antibacterial properties. This way it not only moisturizes dry skin but also improves skin health by clearing issues like flea, eczema. If your dog has any cuts and bites this will help relieve the pain. It gives the coat a shiny gleam and works really well for dogs with arthritic issues. Plus this is an all-natural way to help improve your petting and your pets life. No preservatives or chemicals or discomfort that comes in commercial products, even if your dogs happens to lick itself (apparently, something they always do) when massaged with coconut oil, it is not harmful or toxic. Does it end here? Not really. Fleas and ticks multiply. Chances are they have their pupae or eggs laid. So, it is always a good idea to prevent recurrence of flea infection and how does one do that? (1) Clean your home and your dog’s environment for existing pests. Use a vacuum cleaner on the carpets or places your dog tends to visit more often. (2) Wash your pets blankets or other washable items in hot water and disinfect it that way. 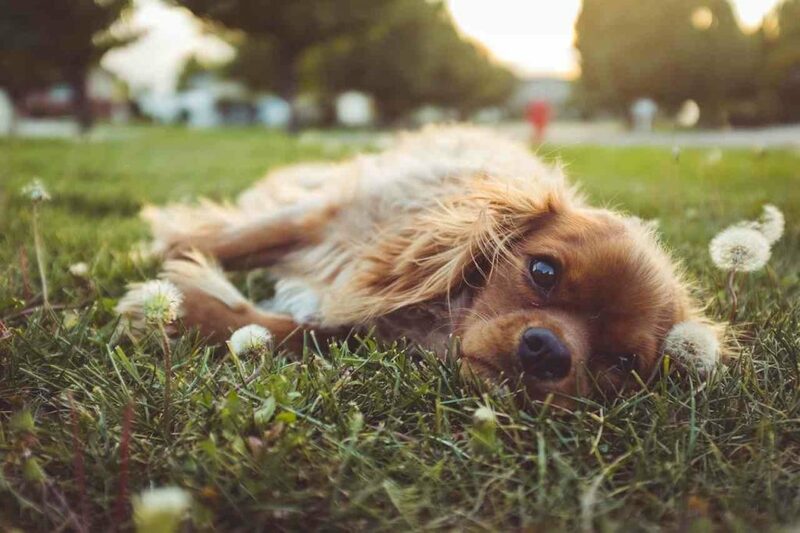 (3) Expose your pet to the early morning mild sunlight for Vitamin D and to maintain the health of the skin. (4) Dry the rugs and mats or toys your pet tends to play with under direct sunlight. Take care and Happy Petting! (1) Dog Eye Care Step by Step – a detailed guide for caring your pet. Back to Dog Grooming Page for more articles.